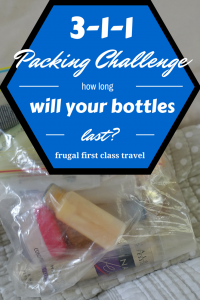 Hi Frugalistas! Due to a publishing error, I apologise that some of you may be receiving this post (now finished!) for a second time. But I think it’s worth the wait! I’m making my first trip to Canada shortly. It’s my first trip and of course I’m very excited. I’ll be doing some travel for work, and catching up with my dear friends Vanessa and Ryan from Turnipseed Travel in Ottawa. Then I’ll be spending five days exploring Montreal and Quebec City with Quebec Tourisme. So I need a versatile wardrobe. I also need clothes that will be warm enough for my Australian weather gauge to cope with very early spring in Canada. Because, for me, the weather is still quite cold I’m looking at clothes that I would normally wear during winter here in Sydney. It’s not so cold that I need my European winter down coat. 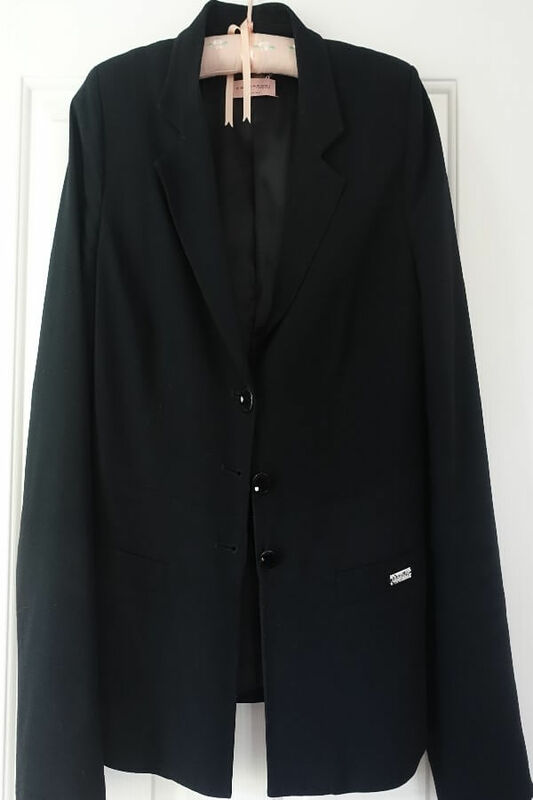 I do own an overcoat, but it is very heavy and of course not at all waterproof, so it’s staying home. I’m therefore relying on all my layering tricks to create a spring packing list for Canada that keeps me warm, but still looks smart and gives me plenty of options. As always, I’m basing my packing list around a capsule wardrobe. Everything needs to go with everything else. For simplicity, I’m choosing blue and black as the basis for my wardrobe. I’ll inject more colour with my accessories. I’ve decided to break with tradition, and make long pants the foundation of my wardrobe. I’ll take one skirt, but then three pairs of pants. The pants will keep me warmer, plus I can wear my thermals underneath when I’m sightseeing if it’s cold. 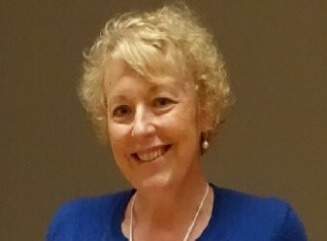 My one blue and black skirt goes with my blue cardie…. My skirt is a blue and black boucle so is very classic, but with a bit of pizzazz for going out at night. Then two pairs of black pants – one classic business style, and one velvet jeans style. My final pair of pants are dark blue skinny pants. Fitted, but still stretchy enough to get my thermals underneath if I need to. 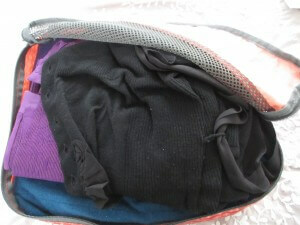 As usual for this time of year in temperate climates, lightweight cashmere forms the basis of my packing. 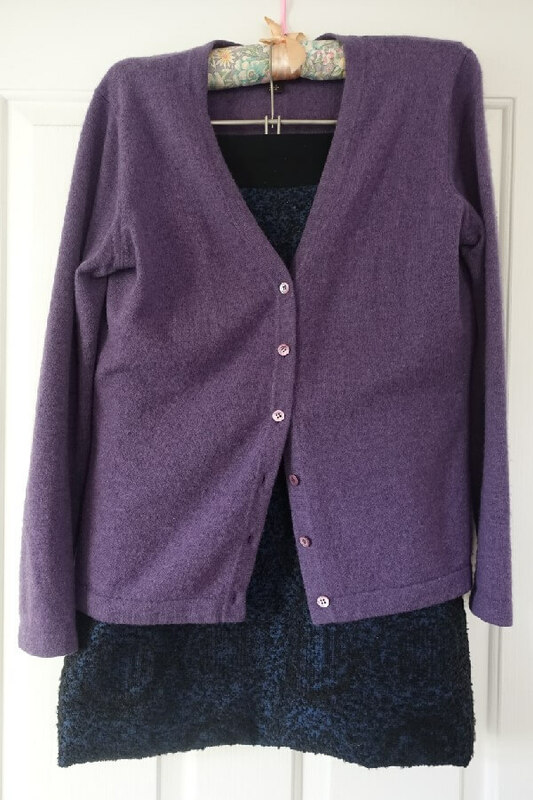 A blue cardigan, purple cardigan, and purple (different shade) Vneck jumper can be easily layered one on top of the other when it’s cold, or worn singly. 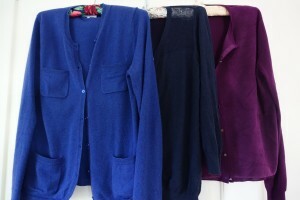 I’m adding a classic black jacket that will still fit a jumper or cardigan underneath if need be. Three long sleeved Tshirts and one white singlet top to go under cardigans complete my list of tops. By layering with my cashmere and a thermal top I think my trench coat will be fine as my coat. My accessories are designed largely to keep me warm. 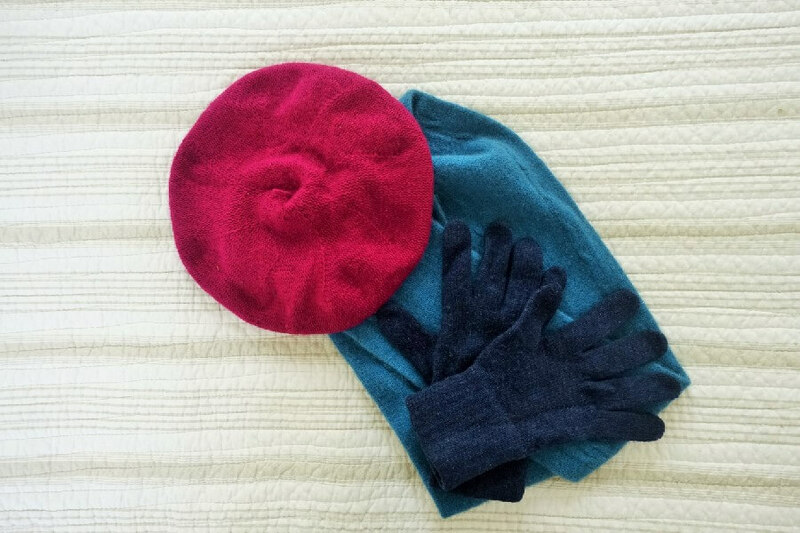 A cashmere beret, cashmere gloves and merino & possum scarf all match my other clothes, and will keep me extra warm. Two light weigh silk scarves (one navy, one in purple and blue tones) and a chunky necklace will accessorise my outfits. My trusty ankle boots and ultra light, ultra flat ballet flats are the only shoes I’m taking. To keep my feet warm I’m packing two pairs of thermal socks – I find my feet get cold, and there’s nothing worse on a busy day outside. Because I only have one skirt, one pair of tights will be ample, plus one pair of lighter socks to wear with my boots in milder weather. My iPad, cords and chargers, plus a book and guide book are all I need. All my toiletries go into my 3-1-1 bag as usual. I’m taking make up brushes, powder and blush that are almost past their useful lives. I’ll use them while I’m away, then toss them before I go. 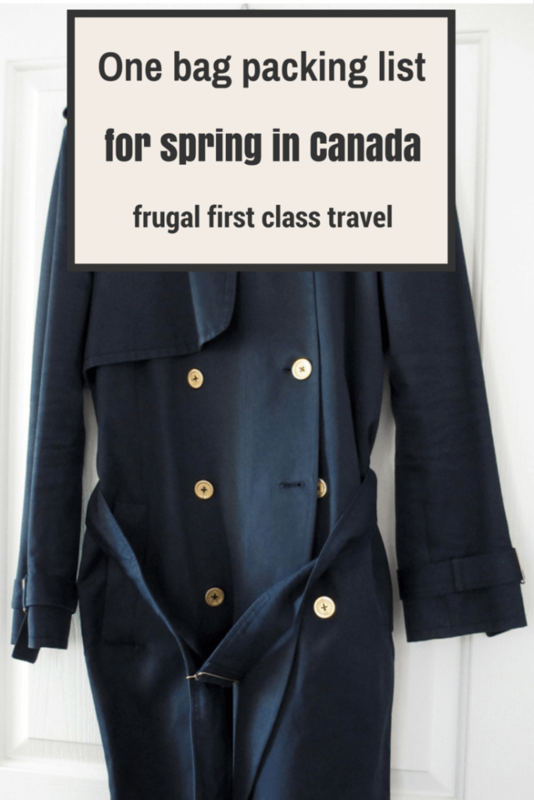 I’m really looking forward to my first Canadian trip and testing my spring packing list for Canada. I’m also looking forward to showing you the French side of Canada in Quebec. 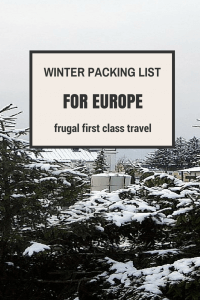 While I’m away, why don’t you follow along with the #Canada15 and #frugalfirstclasstravel hashtags on Instagram? Alternatively you can follow me on Instagram here. Pack a T-shirt too! We’ve been having some lovely sunshiney weather here in Vancouver and Toronto and temps have risen to over 20 Celsius on some days. Thanks for the heads up! I’ve been following the weather and can see it is warming up – but you Canadians are far hardier than me. 17C is not Tshirt weather!